Arsenal midfielder Mohamed Elneny is reportedly a transfer target for two Premier League clubs in Leicester City and Southampton. The Egypt international has not made much of an impact since joining the Gunners a couple of years ago, failing to establish himself as a regular in the first XI. And now the Independent claim he could be one of the players on his way out of the Emirates Stadium this January as Leicester and Southampton may be interested in offering him a move. 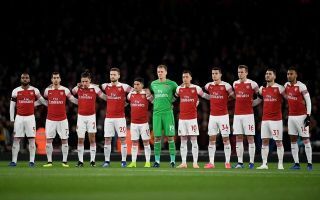 That report mainly focuses on Aaron Ramsey potentially leaving for Juventus, but it may be that other changes will be made in midfield by the club this winter. Allowing Elneny to move on seems the best decision for Arsenal, even if they could perhaps do with him as a backup option. Still, fans will hope that potential loan moves for Denis Suarez and James Rodriguez, also mentioned by the Independent, can be enough to leave Unai Emery well-stocked in that area of the pitch.